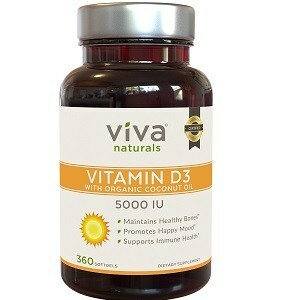 Vitamin D3 is crucial in maintaining proper function of calcium in your body. One study in 1998 found that vitamin D3 helped enhance the mood of subjects during the winter months, helping treat the symptoms of a seasonal affective disorder (SAD). A recent study links vitamin D3 with protecting expectant mothers from neural tube defects. High-quality vitamin D3. Viva Labs has created a very high-quality end product. The capsules have no preservatives and no artificial by-products. And the vitamin D3 source (Quali-D) is very well reputed throughout the industry.